With the allocation in 2013 of a new amateur radio band at 472-479 kHz (630 metres), the Musick Point Radio Group has ceased operation on 512 kHz (600 metres). 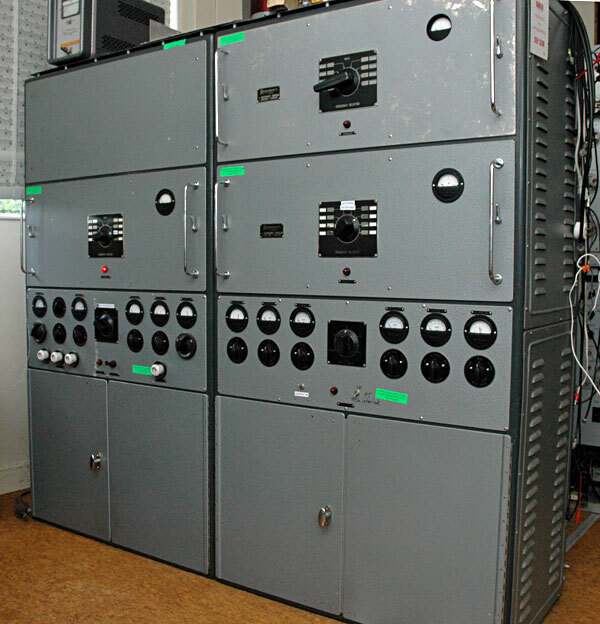 The Dansk S 265-3F-4M transmitter, which had served for several decades at Auckland Radio ZLD and subsequently at ZL1ZLD, has been retuned to the new band, and now has VFO control at the 630m operating desk upstairs. The Marconi Tee aerial has also been retuned to the new band. 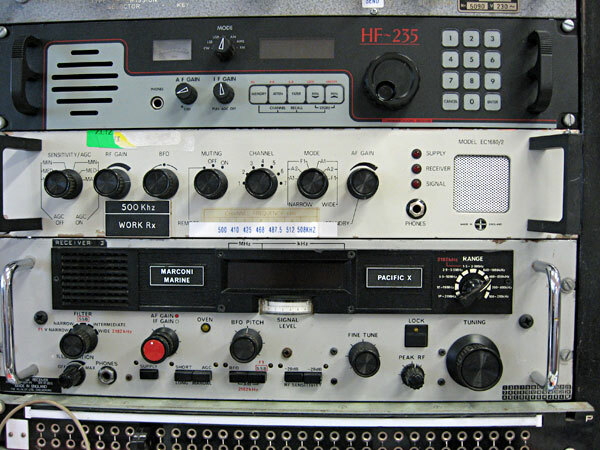 We typically operate on 475 kHz CW, and often listen on multiple frequencies, including 475, 3666 and 7075 kHz. When we are operating cross-band, we will announce our listening frequencies whenever we call CQ. Receivers at the 630-metre desk of ZL1ZLD include, from top to bottom, models by Lowe, Eddystone and Marconi. Read more about the restoration and reactivation of the Dansk transmitter.